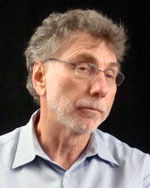 Martin Baron was named editor of The Boston Globe in 2001. Since 2001, the Globe has won four Pulitzer prizes, including those for public service, explanatory journalism, national reporting, and criticism. Prior to joining the Globe, Baron was executive editor of The Miami Herald, when the paper won a Pulitzer Prize for breaking news coverage. Baron began his career as a state reporter and then business writer at The Miami Herald. He moved to The Los Angeles Times as a reporter in 1979, later becoming business editor and assistant managing editor. He re-joined The Miami Herald in 1996 and became executive editor at The Miami Herald in 2000. Baron graduated from Lehigh University with BA and MBA degrees. Martin Baron was the new editor of The Boston Globe when his newsroom uncovered and documented a sad series of events that reverberated through New England and created global fall-out.